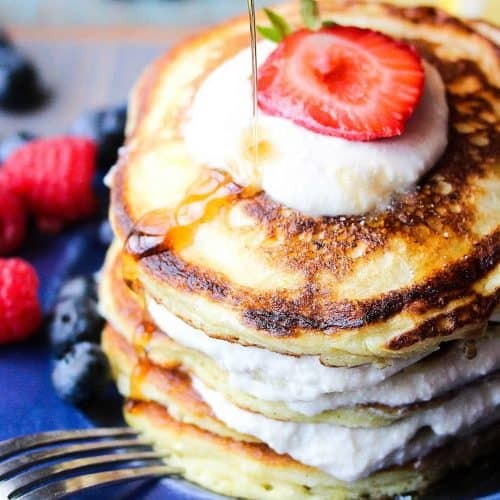 Ricotta Lemon Pancakes with Vanilla Sauce are incredible! Light, fluffy, and amazing flavor! The batter is incredibly light and airy, which counters the ricotta lemon sauce perfectly. 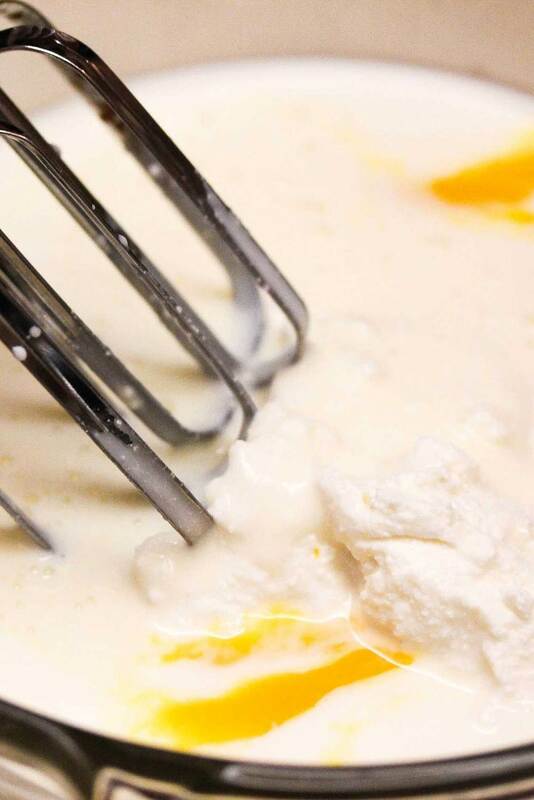 A hand mixer makes getting the batter to the perfect consistency a snap. The ricotta and vanilla filling is truly something special. The lemon zest and hint of nutmeg compliment each other perfectly. 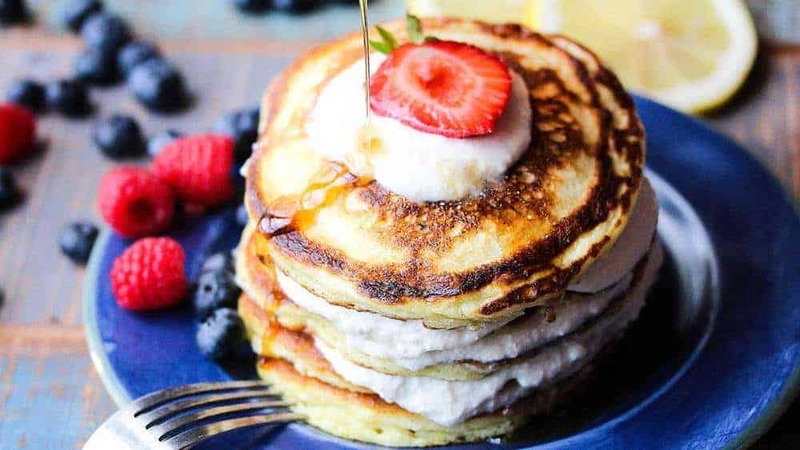 And the ricotta cheese is so creamy and just divine in the Ricotta Lemon Pancake with Vanilla Sauce! We are just crazy about all kinds of pancakes. Did you know evidence suggests that pancakes were developed and eaten by our ancestors dating back to the Stone Age? 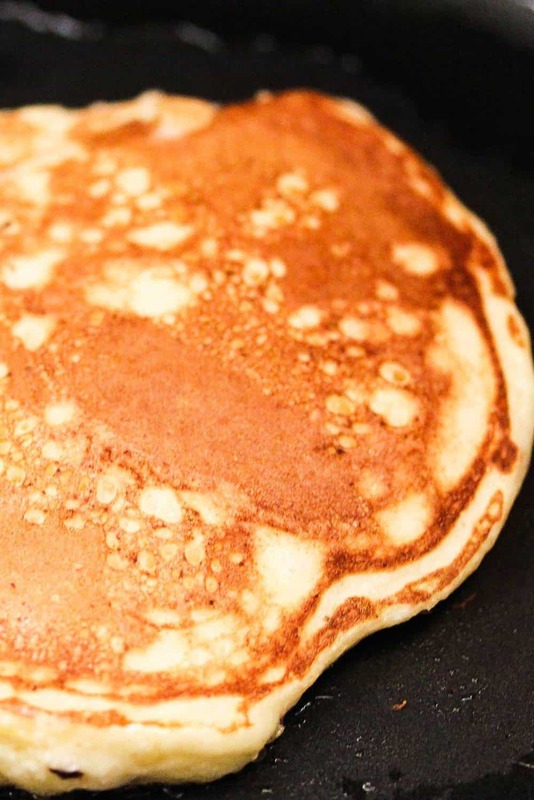 Read more about the Long, Surprising History of Pancakes by National Geographic! Speaking of pancakes full of history: Take a look at Wesley’s favorite pancake (being that he is or Norwegian descent): Norwegian Pancakes! These Ricotta Lemon Pancakes cook perfectly in a skillet with a dash of oil. Pancake perfection. They are truly magical. And what’s great is that you can easily make the pancakes the day before you serve them. Just wrap them in foil. Then, before serving, heat your oven to 375F, then place the pancakes on a greased baking sheet and heat for 5 minutes. Talk about a crowd-pleasing breakfast or brunch dish. Wow! This is without a doubt, one of our most popular breakfast recipes on the blog, and when you make them for your loved ones, you’ll understand why! The hint of lemon, mixed with the ricotta cheese, cinnamon, nutmeg and maple bring these to incredible levels. 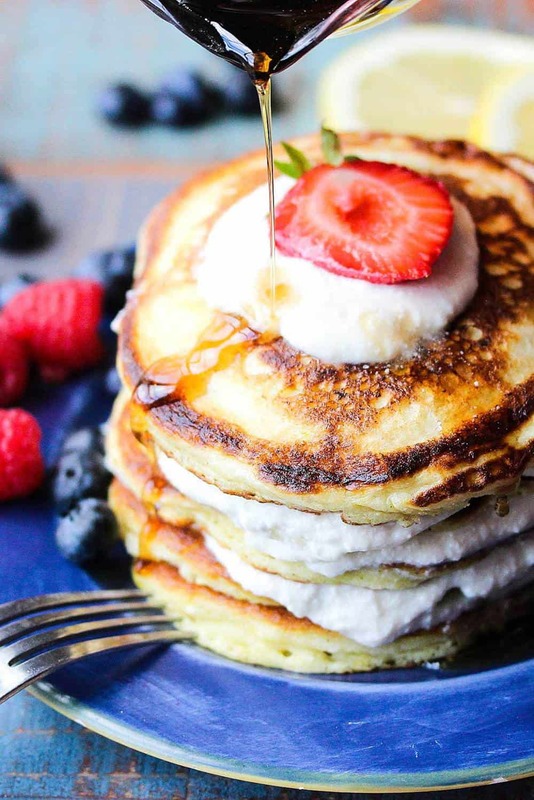 The soft peaks of the eggs whites make these pancakes amazingly light, yet so flavorful. And the vanilla sauce brings it all together! In a medium mixing bowl, beat together the egg yolks, buttermilk, sugar, and ricotta cheese. 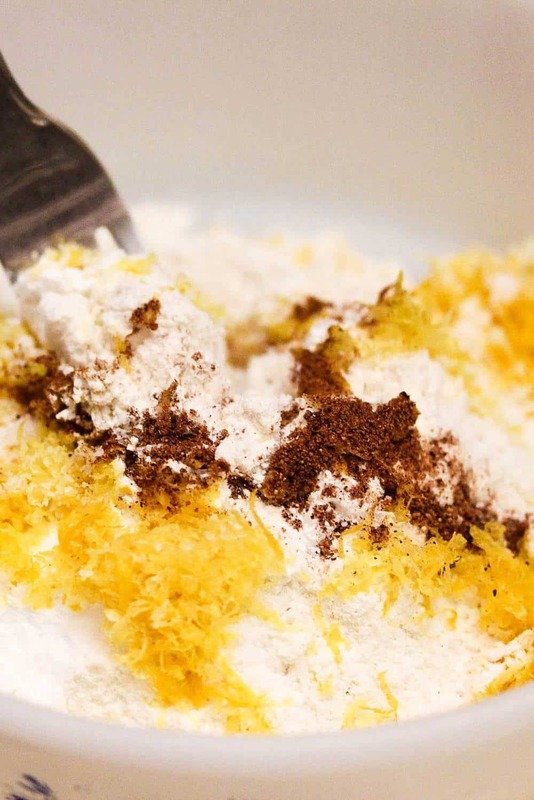 In a separate bowl, whisk together the flour, baking soda, baking powder, lemon zest, nutmeg and salt. In a third bowl, beat the egg whites (I use an electric hand mixer), beat the egg whites until stiff peaks start to form. Mix the dry ingredients into the buttermilk mixture with a few quick strokes. A few lumps remaining are okay. Pour in a little oil into a medium sized non-stick skillet...or griddle. Once hot, drop about 1/4 cup of the batter on the skillet/griddle. Bubbles should rise...cook for about 1 & 1/2 minutes and then flip. Cook for about another minute on the 2nd side. Pancakes should be light golden brown. Remove...place each cooked pancake on a cookie rack on a baking sheet and keep warm in a 220 F oven. Mix all of the ingredients until smooth in a small mixing bowl. For super smooth sauce, blend in a blender or food processor. Refrigerate until needed. 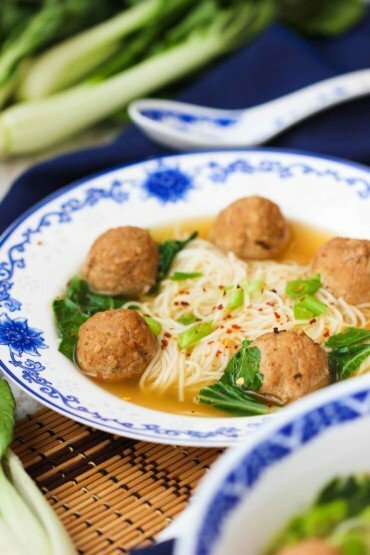 Thin with 1 tablespoon of milk if the sauce is too thick. Place one pancake on a plate, then add a layer of the sauce. Repeat. Loving the idea of a ricotta vanilla sauce. I’ve never made pancakes with the addition of something like that before so this is an idea and recipe I will be trying.